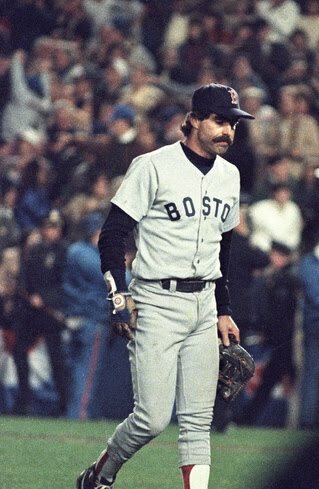 Bill Buckner accumulated 2,715 hits and more than 15 thousand putouts in his 22-year major league career; however, the ball that he did not touch is the one that is most remembered. With two outs in the bottom of the 10th inning and the Boston Red Sox poised to end the "Curse of the Bambino" in Game 6 of the 1986 World Series, Mookie Wilson's topped ball rolled under the first baseman's glove to allow the New York Mets to turn a 5-4 loss into a 6-5 victory. 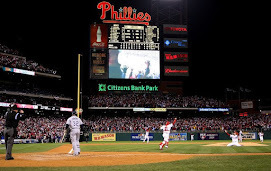 Of course, as Murphy's Law would have it, the Mets went onto to win Game 7 and keep Boston's World Series title drought going until 2004. The slow grounder that eluded Buckner's grasp makes the glove a highly interesting artifact that kept and entire city's misery intact. Additionally, the batting glove that Buckner wore beneath his fielder's mitt provides an interesting accessory. A close look at the glove reveals that it bears the Chicago Cubs logo— baseball's other cursed team.